Nutrition aside, there is no liquid on earth that tastes better than freshly made fruit juice. The flash-pasteurized, bottled stuff available at your local grocery store is ok in a pinch, but that’s like comparing a picture of your girlfriend to actually having her in your arms. No matter how great your camera, there’s just no comparison. The only danger for me is the temptation of drinking more fruit and less vegetable juice. Those cantaloupe juice cravings get me every time. The general rule of thumb is vegetables are high in minerals and fruit is high in vitamins; both provide a different range of antioxidants, so it makes sense to drink equally from both to obtain the widest spectrum of nutrients in your diet. As for Gatorade®, soda, and the like, I just assume the poor folks I see chugging back those counterfeits-in-a-can, have never had the privilege of supping on the nectar of living fruit. What amazes me is how something that tastes so good can be so good for you. Whereas the food coloring in sports drinks can cause cancer, the natural coloring in fruit actually protects from cancer, and the more color the better. Fresh fruit juice is a great way of getting loads of vitamins and antioxidants into your busy kids’ bodies. Even the fussiest eaters will down a tall glass of cantaloupe juice or orange juice, supplying their entire daily need of vitamin C and A, just to mention a few. Freeze the juice into homemade popsicles and you have a fun treat to bribe them into eating their veggies at supper. This is a taste of tropic sunshine. Overripe mangoes are great for smoothies or purees, but will not juice very well, producing a thick juice. They are best to juice when just starting to give slightly to the touch. Remove pit and skin before juicing. Slicing a mango is a bit of a trick. Starting at the top, cut down, curving the knife along the flat part of the pit on both sides. This will remove the majority of flesh. You can slice strips of flesh and the skin should easily pull or cut away from the fillet. Select dark colored, firm cherries for the best yield and highest nutrients. Yes you do have to remove the pits from the cherries before juicing and yes it’s a little work. But there’s simply nothing like freshly made cherry juice for flavor and micronutrients. Juice cherries first, then apples, this will help capture all those valuable anthcyanidin pigments remaining in the juicer. Citrus with seeds is perfectly fine and in fact is often a juicier, thinner skinned fruit producing a greater yield. Instead of peeling oranges, thinly cut away the orange skin leaving as much of the white pith as possible, (which is packed with antioxidants). Juice blueberries first, then apples, this will help remove all those valuable anthocyanin pigments remaining in the juicer. When it comes to grapes, the darker the color the higher the presence of flavonoids. Concord grapes are the best. Pure grape juice from a juicer is very strong in taste, so I like to cut it with apple or even equal parts water. Juice grapes first, then apples, this will help remove all those valuable flavonoids remaining in the juicer. 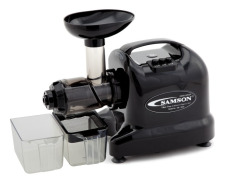 If using a centrifugal force juicer I always pass the wet grape pulp through the juicer twice, increasing juice yield. Stunningly refreshing and full of flavor. Has more than 15,000 I.U. of Vitamin A and more three times the Vitamin C content of an apple. It also contains myo-inositol, a lipid which helps with anxiety, insomnia, and in battling hardening of the arteries, and has the highest amount of digestive enzymes of any juice. Melons are recommended by the American Cancer Society as powerful agents in the fight against intestinal and skin cancer. Cantaloupe contains approximately 100 calories, yet it is dense in nutrients. This makes melon a perfect fruit juice for healing and weight loss. Delicious, filling, and low in calories. Juice the cantaloupe and blend with Sucanat, cinnamon, and ice cubes. It is hard to classify this juice because it is so rich in antioxidants. It will improve just about everything, including how you look in the mirror. De-seeding the pomegranate is a bit of an investment of time, but worth the trouble. If too busy, job it out, or add a cup of POW Pomegranate juice to the rest of the mixture. Cranberry juice is a powerful healing tonic, filled with quinine which changes to hippuric acid in the liver. Hippuric acid is able to assist in the removal of purines, uric acid, urea, and toxic build-up in the prostate gland, testicles, kidneys, and bladder. An excellent preventative juice for North American men who are battling the increased risk of prostate cancer. It is a wonderful defense against yeast infections for women. Cut apples into wedges, seeds and all. Juice cranberries first, then apples. Scientists have determined that we use only 10 percent of the brain. Here is a juice to help stimulate all of those dormant brain cells back into activity. 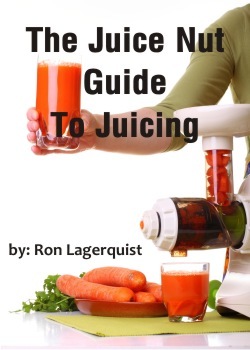 Juicing results in better memory and sharper thinking. 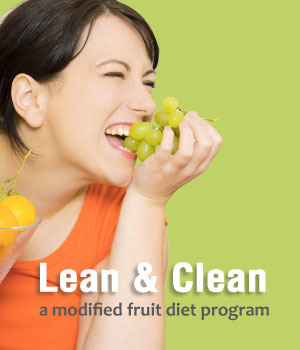 Detoxification helps reduce that all-too-common brain fog. Try to keep as much as the white pith on the orange and grapefruit. Juice sweet potato with skin on. Not only does this juice taste great, it assists in the healing process. There is no reason you cannot live a pain-free life. Wash well and juice all fruit with skin on. The Juice Nut’s Favorite Fruit Juice! Even the most skeptical taster will be won over by this sweet, rich treat. If non-organic, thinly cut the skin off the pineapple. A delicious alcohol-free party pleaser that will blow both socks off. Ask the host if you can take your juicer to the party. Enjoy an enzyme high without a nasty hangover. Juice grapefruit with white pith. A delightful surprise to both women and men is the increased vitality. Juicing cleanses and energizes all the organs. And it tastes great on the nightstand. Juice sweet potato with skin on. Each glass contains about 110 sugar calories. Mix and drink. It is recommended that you drink 6 to 12 glasses a day when on the Master Cleanse program. Of all fruits, the berry family is the highest is antioxidants. That rich color pouring out of your juicer is a sure sign of powerful, cleansing phytochemicals. You can add one apple for sweetness. Switching one cup of berries for another is fine. Watermelon rind has chlorophyll, vitamin A, protein, potassium, zinc, iodine, nucleic acids and enzymes, which aid digestion. Because watermelon is a great diuretic, your kidneys and bladder will experience a honeymoon of youthful health. Also, if you are short on money, watermelon juice is the ticket. You can add just about anything to watermelon, so have some fun. Ninety-five percent of the nutritional content in watermelon is in the rind. The seeds may be a little noisy but are harmless to the juicer. The reference to Niagara Falls will be immediately evident when you put a wet piece of watermelon in the juicer. Push through slowly or you may have a mess. This is an awesome wake-up juice and is healthier than coffee. It may take a little more time to produce, but you will make up for the lost time with a faster mind. I double this and make a huge glass of sunshine and detoxifying vitamin C. Citrus juice made from a hand citrus juicer and a centrifugal extractor are quite different. The centrifugal juicer or, even better, a gear-based juicer, produces a thick frothy juice, which can be a little more tart. 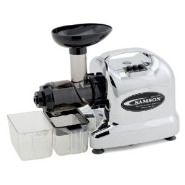 The quality and the nutritional value will be slightly higher than from a citrus juicer. Great information here thank you so much!!! Cantaloupe was an unknown secret to me until I found your site. Thank you for any other great post. Where else may just anyone get that kind of information in such an ideal means of writing? I have a presentation next week, and I am on the search for such info. Great! We added a touch of nutmeg. Its become one of my favorite juice combinations!!! Love this one. The whole family loved! This is absolutely DELICIOUS!!! I had no idea losing weight could taste soooooooo good. The Cinnamon adds such richness.